WOODLAND HILLS, Calif. and MONTREAL — Sept. 24, 2013 — Today Spearhead Games, an independent game studio, and 505 Games, a global video game publisher, announced a partnership to digitally release co-op puzzler Tiny Brains on the PlayStation®4 system timed to the platform’s North American launch this November 15. In addition to Sony’s next generation console, the four-person action puzzle game will release simultaneously on PlayStation® Network and Windows PC via digital download. 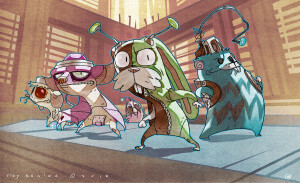 Tiny Brains follows the adventures of four super-powered lab animals as they attempt to escape a mad scientist’s nefarious experiments. Thrown into a gauntlet of physics-based puzzles, the four “Tiny Brains” must figure out how to combine their unique, individual powers to make it through a trick-ridden maze. 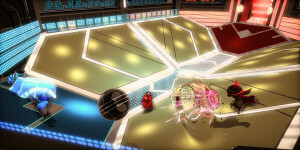 Each puzzle features multiple solutions depending on how players choose to work together. 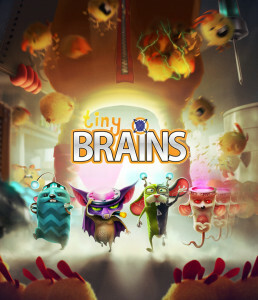 With local and online drop-in/drop-out multiplayer, a full co-op campaign and additional Challenge and competitive modes, Tiny Brains is a truly social, next generation multiplayer title. Medium to large-sized brains can keep up on Tiny Brains news by visiting www.505games.com and www.spearheadgames.ca or by following @TinyBrainsGame on Twitter and Spearhead Games on Facebook. Tiny Brains has been rated Everyone 10+ (E10+) by the ESRB. 505 Games is a global video game publisher focused on offering a broad selection of titles for players of all ages and levels. The company publishes games on leading console and handheld platforms as well as for mobile devices and social networks. Product highlights include PAYDAY 2, Brothers – A Tale of Two Sons, Sniper Elite V2, Terraria, TAKEDOWN: Red Sabre and Naughty Bear as well as the upcoming How to Survive, Rekoil and Tiny Brains. Spearhead Games is a Montreal-based independent game studio founded by former AAA developers. Co-founders Simon Darveau, design director on Assassin’s Creed® III,Malik Boukhira, game designer on Assassin’s Creed 2 and Dead Space™ 3, and Atul Mehra, development director on the Army of TWO™ franchise, established Spearhead to create an innovative, fast-paced game development environment. The studio’s first title, cooperative action puzzler Tiny Brains, is coming to consoles and PC in November 2013. Download the latest assets for Tiny Brains including new concept art here. View the trailer on YouTube here. Check out the team on the official PAX Twitch stream here.